Looking for Health Information Online? Don’t start with Google. 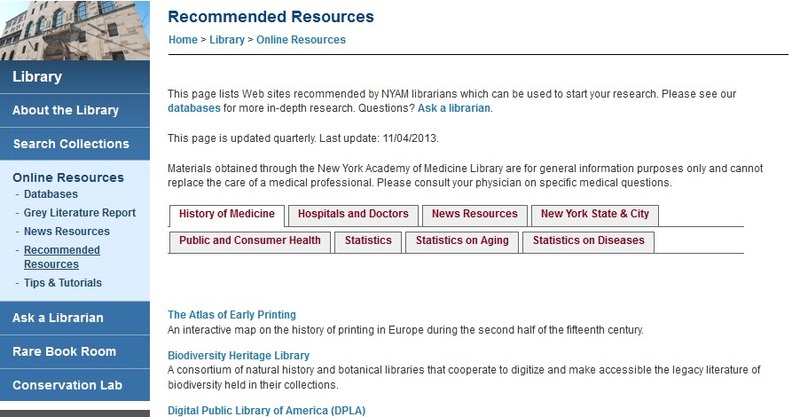 This is the first of an occasional series of blogs featuring research tips from NYAM librarians. We’ve all done it: You leave the doctor’s office and want to know more information about a new diagnosis or other health concern. 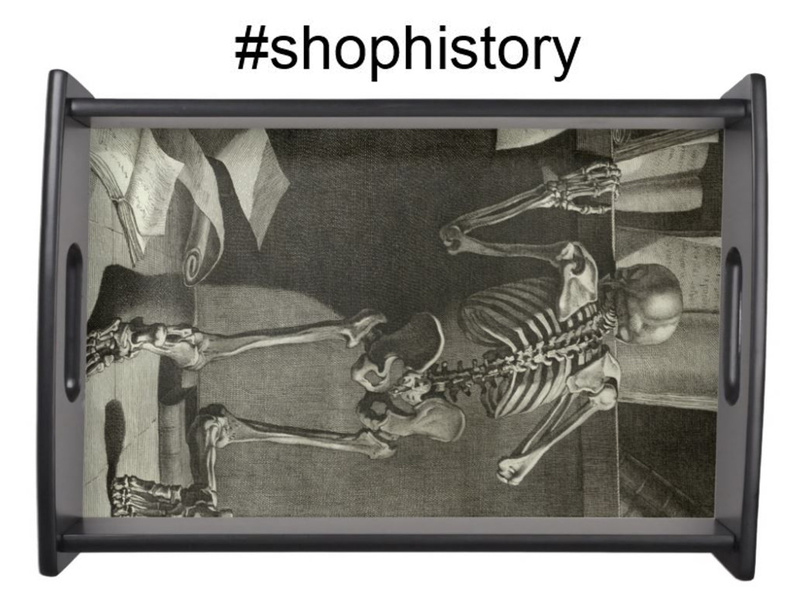 So you go to your high-tech device of choice and search the Internet. 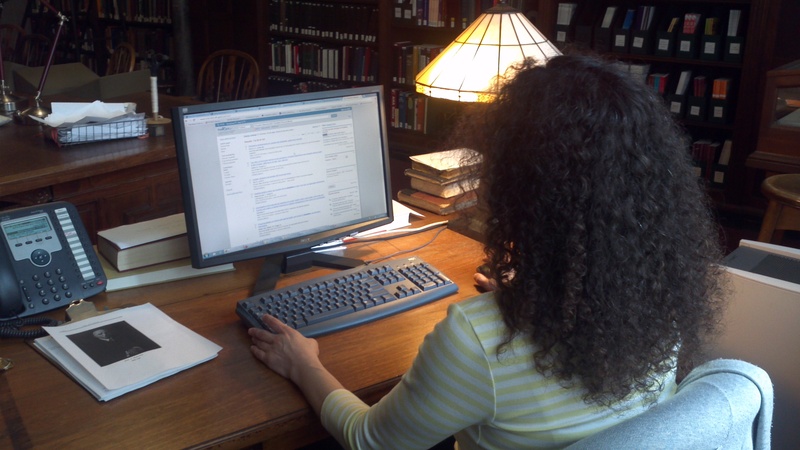 A NYAM librarian conducts a search in PubMed. But a general Internet search may not be the best way to find high quality health information online. As we all know, anyone can put information online. Just because something is on a web page does not make it reliable. Fortunately, there are excellent sites that present a wide range of trustworthy health information. This National Library of Medicine site provides authoritative information from government agencies and nonprofit organizations. It includes a very helpful drug and supplements guide. Health information from the U. S. Department of Health and Human Services. The CDC is especially helpful when looking for trends and statistics. Each NIH Institute offers a wealth of consumer health information related to its area of interest. 1. WHO wrote it? Is it an organization or an individual? What is the person or organization’s bias? 2. WHAT makes them “an expert”? What kind of organization is it? Is it written by a patient? A healthcare professional working in the field? Is there a scientific or medical advisory board assessing the information? 3. WHERE is the author located? Is the website .org, .edu, .com, .gov? Each type of site has its own reasons for sharing information. 4. WHEN was the page last updated or reviewed? Health information can change quickly. The more current, the better. 5. WHY is the information on the Internet? Is the author trying to sell a product or service or raise money? Is it there to help patients and caregivers? 6. HOW does it look? Is it easy to read? Are there lots of advertisements? Are things spelled correctly? Does it make you uncomfortable in some way? Want to know more about evaluating online health information? MedlinePlus has you covered.